Stunning turn-key residence at Blue. 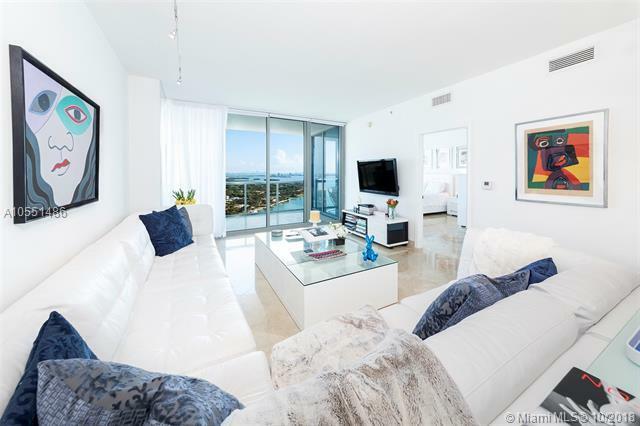 This 2 bedroom / 2.5 bath condo features beautiful unobstructed Biscayne Bay views and a fantastic open layout. 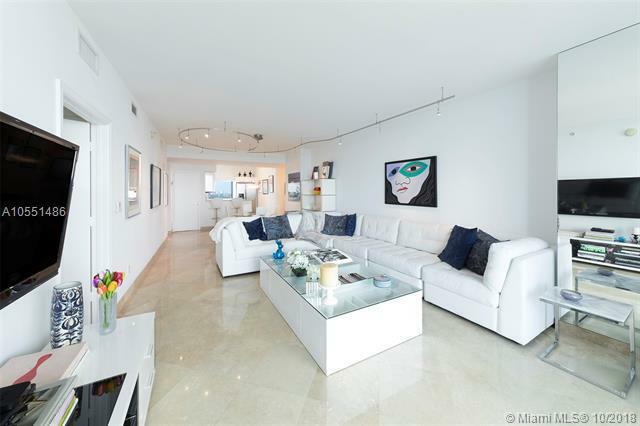 Upgrades include marble floors throughout, built-in closets, electric shades and custom lighting fixtures. 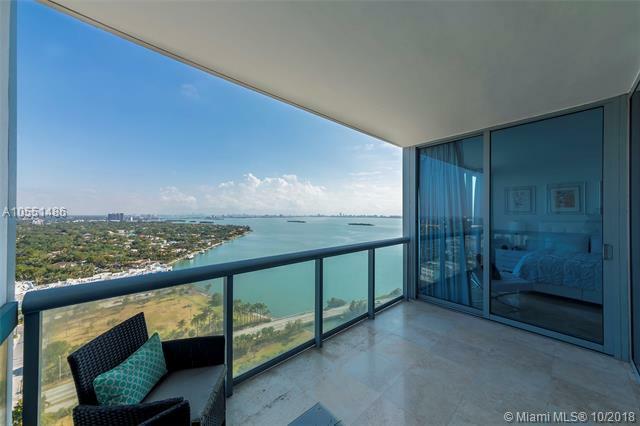 The master bedroom features floor-to-ceiling windows overlooking stunning water views as well as a spacious walk-in closet and an en-suite bath. The second bedroom also features an en-suite bath and is completely independent from the master. The kitchen includes a new refrigerator along with great counter space. Enjoy resort-style amenities at the well located Blue Condo, two pools as well as a state-of-the-art fitness center and club room. Minutes away from it all.